Welcome all incoming and prospective students! 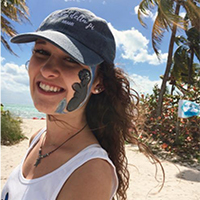 As the Peer Counselors, we would like to introduce you to life as a student at both the University of Miami and the Rosenstiel School for Marine and Atmospheric Science (RSMAS). Incoming students are paired with a Peer Counselor who will help make the transition into college as smooth and enjoyable as possible, both academically and socially. We are here as guides for incoming and prospective students who are interested in studying marine and atmospheric science. If you have any questions about the program, the campus, life at the university, or anything else, please email any one of us, and we will do our very best to help you find an answer to your questions. 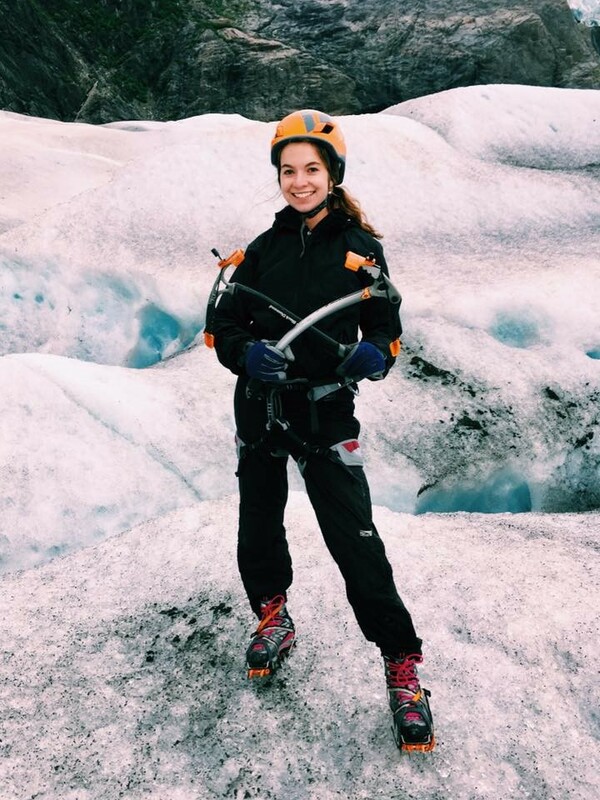 Hi everyone, my name is Kiana and I’m a senior originally from Juneau, Alaska. I’m one of your head peer counselors for the program! At school I am involved with a number of activities including Rho Rho Rho, University of Miami Alternative Breaks, Miami Motion Dance Team, and the Intramurals department where I work as a supervisor. I also intern at NOAA’s Early Life History lab, located right across from the RSMAS campus. This summer I participated in their Gulf of Mexico RESTORE research cruise (for the second year) where we were on the hunt for Bluefin Tuna. I am also interning at Harbor WildWatch, a non-profit environmental outreach organization in Washington. If you have any questions, feel free to contact me! Hi guys! I am originally from Macedonia but grew up in Chicago. Some of my passions are the fine arts, tennis, cooking, and obviously marine life. I am also an undergraduate intern in the ocean acidification lab at RSMAS, as well as NOAA’s FORCES lab. One amazing thing about UM is how much undergraduate research is encouraged, so if you have an interest in any labs, definitely reach out. To me, RSMAS is a second family, and I hope you guys are excited as we are to make some amazing new memories! Hi everyone! I’m originally from Kansas. I went out on a limb choosing marine science as a major but I am glad I did, I absolutely love it. On campus I am involved in SCUBA club, Marine Mammal Rescue Team, and Rho Rho Rho. 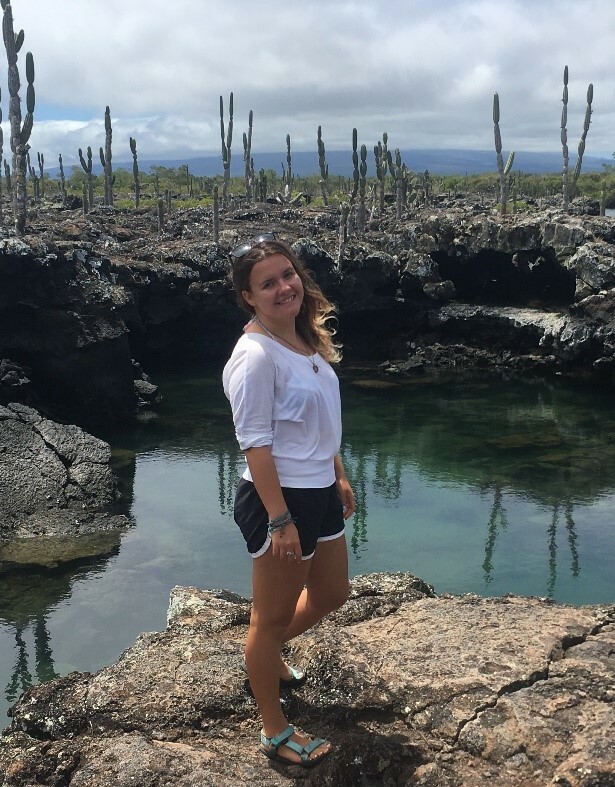 Last fall semester I studied abroad in the UGalapagos program and would love to tell you about my amazing experience in the program. I am currently a research assistant at RSMAS for Dr. Peter Glynn working on ctenophore biology. I encourage everyone to try to get involved in research at RSMAS and make RSMAS your second home it’s truly an awesome place! This summer I am working at Mote Marine Lab in Sarasota, Florida in their aquaculture facility modeling snook growth and survival in aquaculture. Sharks, fishery studies and conservation are my ocean passions. I love any and all water activities including diving, kayaking/paddle boarding, swimming and chilling on the beach. I can’t wait to meet y’all and feel free to email me anytime with questions about college life, research, or anything else! Hi there! My name is Haley Plaas and I am a senior from Kansas City, Kansas. I’m majoring in Marine Science and Biology, and minoring in Chemistry and Motion Pictures, because I’m interested in environmental documentary production. This summer, I’ll be interning at Mote Marine Laboratory in Sarasota, FL working under their Environmental Health lab. Hi! My name is Caroline Koschik- but I go by Lina- and I’m from Montclair, NJ. I love all forms of art (from drawing and painting to music and woodworking), swimming, scuba diving, and am a member of the UM Club Swim Team. My interest in the ocean comes from my experiences scuba diving and my time volunteering as a docent at the New York Aquarium. My time at the University of Miami has been incredible so far, and I am constantly amazed at how much the school and this program have to offer. I plan on spending most of my summer working at home, as well as visiting the desert Southwest. I can’t wait to meet everyone in August! 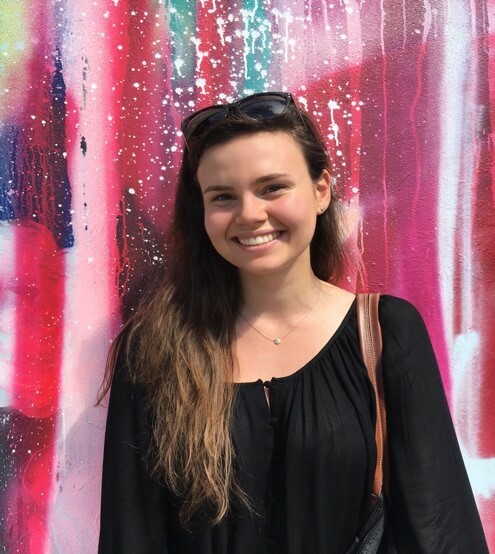 Hi everyone, my name is Emily Green and I’m a rising junior, from Syracuse, NY. Here at UM, I’m the Treasurer of the Marine Mammal Rescue Team and a member of Rho Rho Rho, Scuba Club, and Alpha Delta Pi. I was also the Treasurer and a coordinator of our annual Ocean Awareness Week last semester, one of my favorite weeks of the year here on campus! Being involved in these organizations has allowed me to partake in so many amazing opportunities, such as assisting on a coral restoration dive with Rescue a Reef, swimming with dolphins in the Bahamas, snorkeling with manatees, and going on a whale watch in California! This summer, I worked as an undergraduate research assistant in a biology lab at Syracuse University, studying the neurological effects of hormones on learning and memory throughout the lifespan. There are so many amazing opportunities available to you here at Miami, so I encourage you all to become involved! If you have any questions, please feel free to reach out to me! Hello everyone! My name is Raymond and I am a rising junior here at the U! I am from Denver, Colorado and I have loved my time here at UM and in RSMAS! I have been a First Year Fellow in Stanford Residential College and thus I am so excited to help you transition into life here at college! This summer I am unfortunately just working nonstop, but it’s at the Student Center on campus so when you arrive feel free to come say hi! I am taking a week to go back home and work at a summer camp to teach 6th graders about aquatic biology. I can’t wait to meet you all this fall! Hi guys! My name is Alison, but everyone calls me Ali. I was born and raised in Stuart, Florida, which is just 2 hours up the coast from Miami. I have always loved the water, and have recently started loving all types of weather, not just the sunny South Florida kind. 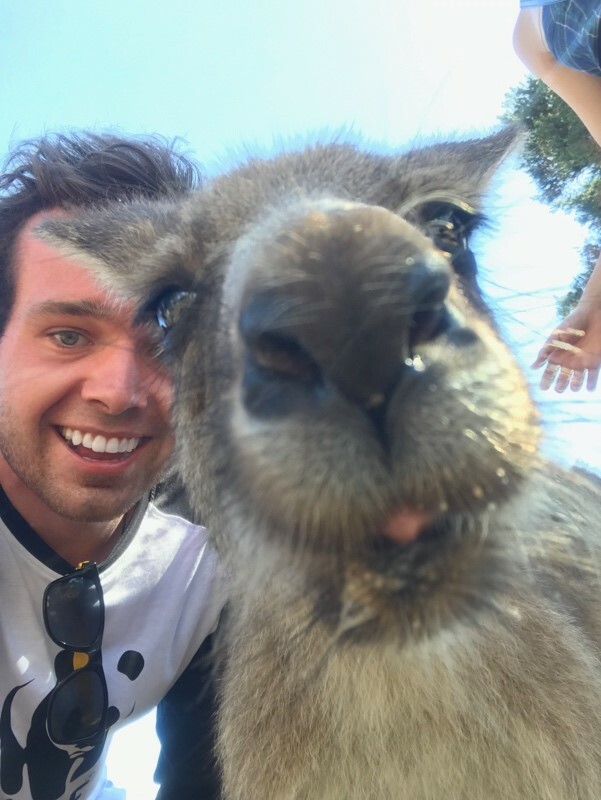 I also love to travel; I have ridden elephants in Thailand, cage dived with Great Whites in South Africa, and snorkeled in Fiji. This summer I plan to travel to Switzerland, France, and Italy. Here at Miami I am Vice President and Secretary of the American Meteorological Society, and I am also a part of Rho Rho Rho Marine Science Club, UPurr cat club, and Alpha Delta Pi sorority. This fall I am going to join a research team on hurricane formation with atmospheric science professor Sharan Majumdar. Feel free to contact me whenever if you have questions about anything! Hey guys! 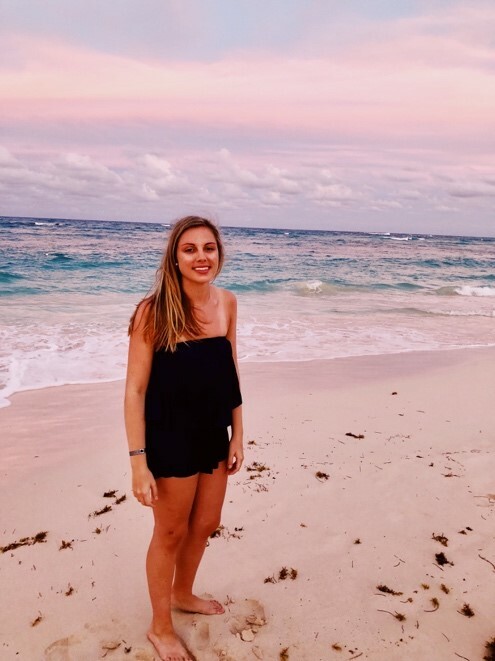 I'm Sabrina and I just finished my freshman year at the U. I am going to spend the summer in Key West interning with Reef Relief; this is a nonprofit focused on community outreach, specifically reaching out to kids through summer coral camps! I love talking about coral, sharks, and climate. Most importantly, my favorite marine organism is the Mola Mola because there are lots of funny memes about them and they have really unusual teeth. Let me know if you have any questions! Hi! My name is Carina! I’m originally from New York. 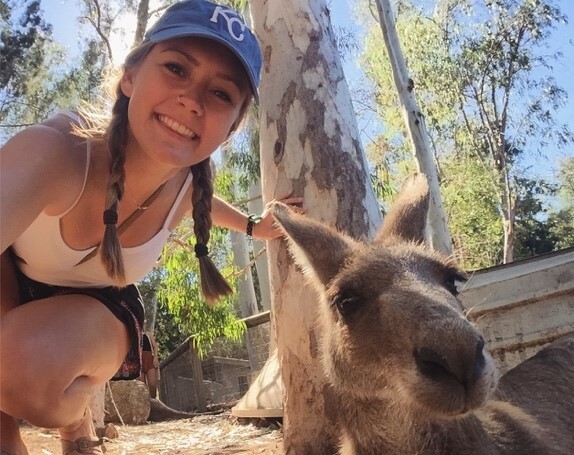 I’ve been abroad at James Cook University in Townsville, Australia this past semester. 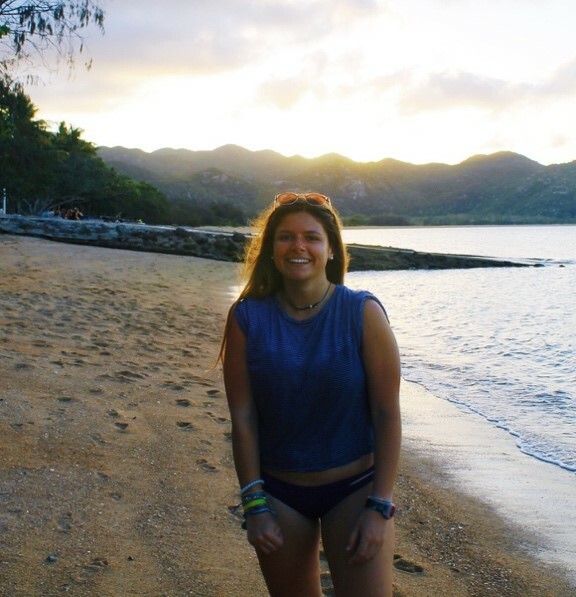 This summer I am road tripping down Australia’s east coast, living in a campervan in New Zealand, and working at a shark conservation and research center in the Gili Islands off Bali! On campus, I am on the Rho Rho Rho e-board, and am a member of Scuba club, Surfrider, MMRT, and Alpha Delta Pi. I am so excited to meet everyone- welcome to RSMAS!!! My name is Gammon Koval, and I’m originally from Peoria, IL. I’m the current president of Rho Rho Rho, our Marine and Atmospheric Science Honor Society. I recommend all freshman look at joining this club, it is a great opportunity to meet other students and go on awesome trips. I currently work in the Shark Research and Conservation Program with Dr. Neil Hammerschlag studying these apex predators in their habitat, as well as Dr. Diego Lirman’s Rescue a Reef program which grows and outplants staghorn corals here in Miami. Two of my passions include diving and photography. I’m an active member of the scuba club, and I’ve taken the scientific research diving class here at the U which has allowed me some incredible diving experiences. 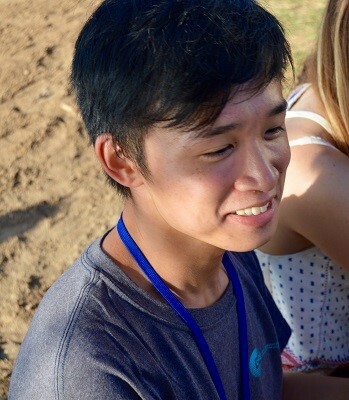 This previous semester I spent abroad with the UGalapagos program. It was an incredible experience and I highly recommend it to everyone. This summer I’m staying in Miami to work with the sharks and coral and start working on my senior thesis. I am looking forward to meeting all of you! Hi guys! My name is Olivia Schuitema. I grew up in Miami and I love the outdoors - SCUBA diving, kayaking and hiking are my favorites! 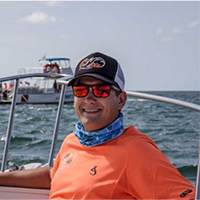 I am currently an intern with UM’s Shark Research and Conservation Program, where we go shark tagging and do research to assess the health of South Florida shark populations. I hope to study abroad with the marine science program in the Galapagos Islands next semester. If you have any questions, please don’t hesitate to ask! Welcome to the U! Hi! 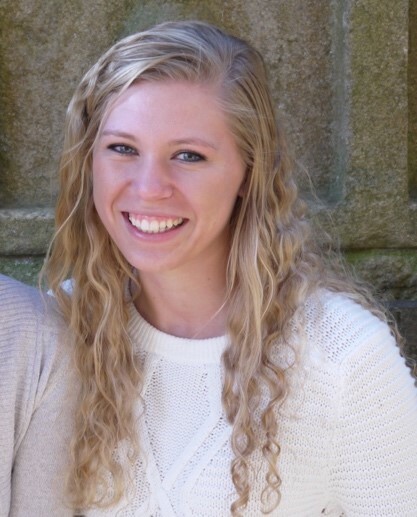 I am Rachel Sandquist and I am a junior majoring in Marine Science and Microbiology with minors in Chemistry and Math. I am originally from right outside of Philadelphia and spent a majority of my summers at the Jersey Shore. I am a member of SCUBA club and Rho Rho Rho and I am on the E-board of Ocean Kids and Ocean Awareness Week. Hi I’m Corinne! I’m originally from Jupiter, FL and love anything/everything to do with nature! 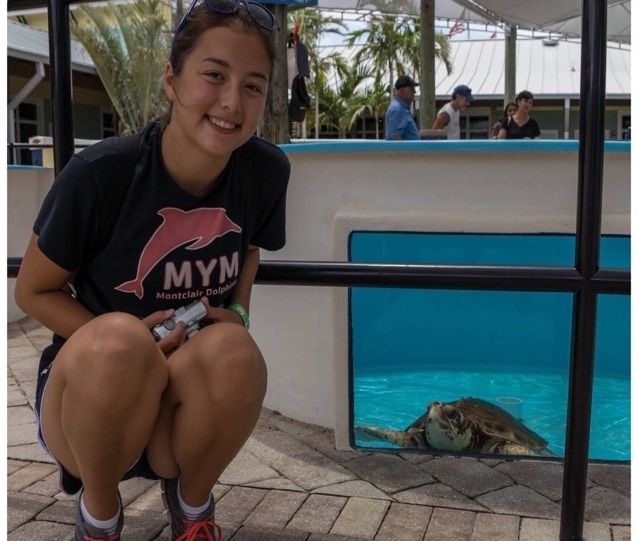 Aside from classes I dive with SCUBA Club, am a member of Rho Rho Rho and the Marine Mammal Rescue Team, write for UMiami Scientifica, and work in the Office of Undergraduate Research. This summer I am staying in Miami to do coral research and dive with the Coral Restoration Foundation in Key Largo. I am so pumped to meet everyone...welcome to the fam! Hello and welcome to RSMAS! My name is Sam and I am sophomore majoring in marine science and biology with a minor in chemistry. I am from New Jersey and this summer I am going back to the Garden State to work in an ecology and evolutionary biology lab. I definitely am a self-proclaimed pluviophile who loves Miami's rainy season, and one of my favorite parts of freshman year was having homework/storm-watching parties with friends. My name is Jack Urquhart, and I am a Marine Science/Bio major in the class of 2021. I am from Saline Michigan, and I love fishing and waterskiing on the great lakes. 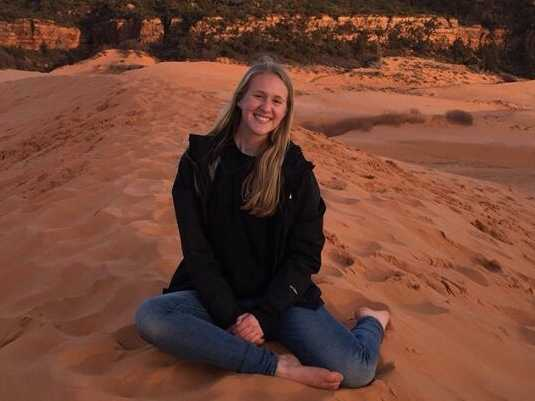 Over the summer I am going to Thailand and Laos as part of a volunteer group with Growth International Volunteer Excursions, where I will be working in small farming villages and in the tropical rainforests in the region. My favorite marine animal is actually a sea slug, the Glaucus atlanticus, or blue dragon sea slug. I hope I will be able to see one on the RSMAS beach one day. Hi, I'm Kat! I'm a junior studying Marine Science/Biology and International Studies. 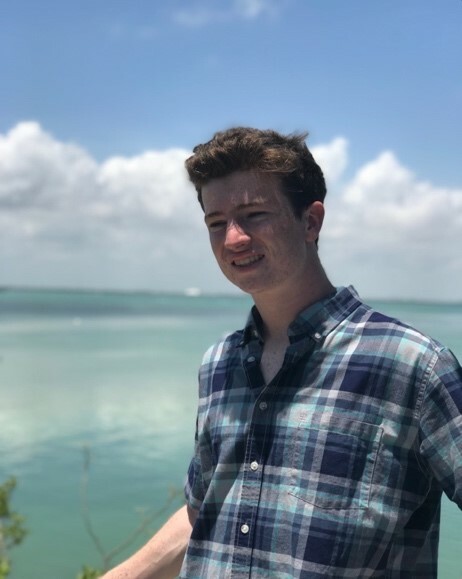 I'm the secretary of the Marine Mammal Rescue Team on campus, and I spent the summer as an intern with the South Florida Water Management District. Hi there! I like clouds. I also like the fish. If you like clouds and fish, then you might be me - Sean Culm. I originally came to UM with the intent of going into climate research (yippee let's save the planet y'all! ); but last year I became more keen on Broadcast Meteorology, and that's now the direction I am looking going forward career-wise. Born and raised in Chicago, I am a fan of the best team on planet earth (cubs) and all things deep dish. Outside of class, I am involved in the live student news program NewsVision where I give the weather from time to time. I'm also a member of Rho Rho Rho (the Marine and Atmospheric Science honor society), the American Meteorological Society, aquarium club, scuba club, and tennis club. Hey there! 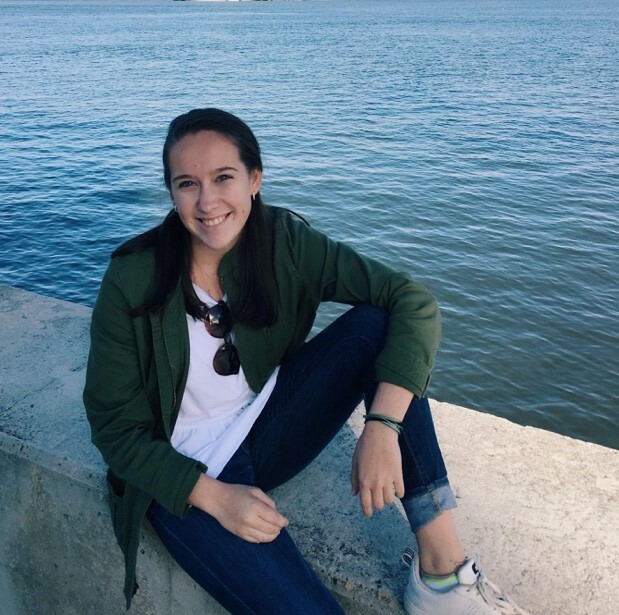 I’m Claire, a rising RSMAS junior triple majoring in marine science, political science, and biology. I came to Miami from the suburbs of Chicago, ecstatic to end the many years spent land-locked and freezing in the Midwest. 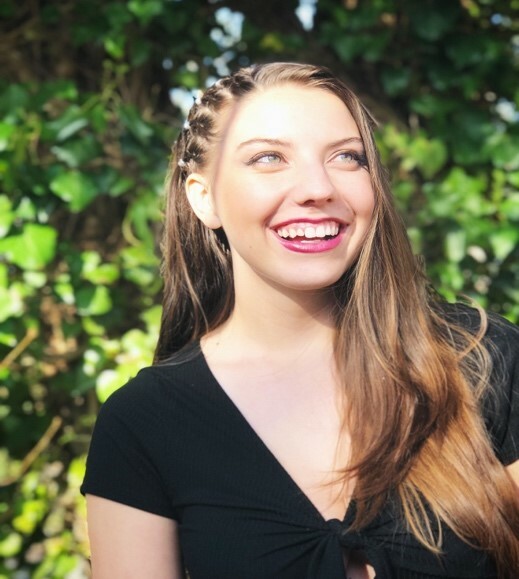 I love being super involved on campus- my extracurricular activities range everywhere from being vice president of Marine Mammal Rescue Team (come join dolfriends), to working PR for Ocean Awareness Week ‘18, to singing alto in BisCaydence, UM’s competitive a cappella choir! I also love Rho Rho Rho and Scuba Club, whose many marine science trips and dives make just about every weekend an opportunity to do something amazing. FUN-FACT: I got to shake hands with Joe Biden after singing at his “It’s On Us” rally last year, and it was pretty much the highlight of my life (I may have cried it’s fine). Hi everyone, my name is Kabir Parker. I was born in Greenwich, Connecticut but have spent most my life in New Delhi, India. I am an American but an international student as I studied at an international school in New Delhi before coming to Miami. I have grown up diving in the Indian Ocean including Lakshadweep, Sri Lanka, Mauritius, the Andaman Islands, Bali, and Phuket. I am fortunate to have learned to dive in the Maldives, which I consider to be my home, underwater. 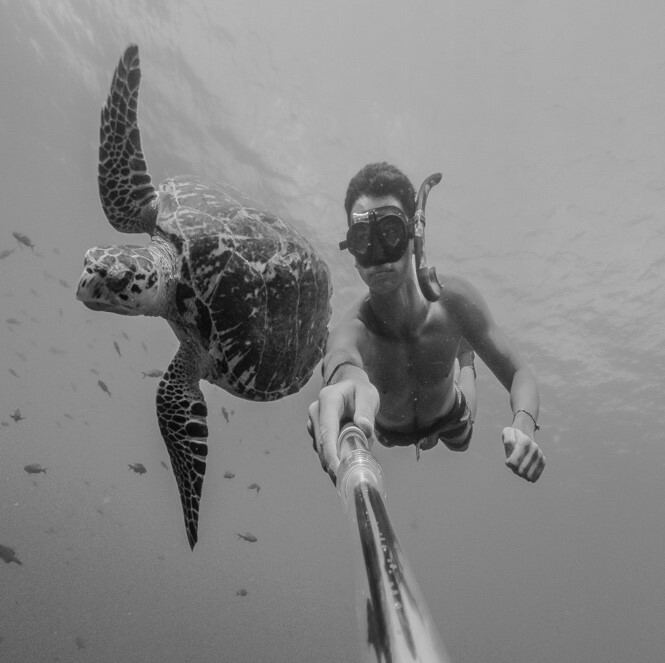 I am also a passionate freediver and spearfisherman. During my first two years at UM I was freshman officer in UM Scuba, and a member of clubs such as Aquarium Club, Rho Rho Rho, and Special Olympics. 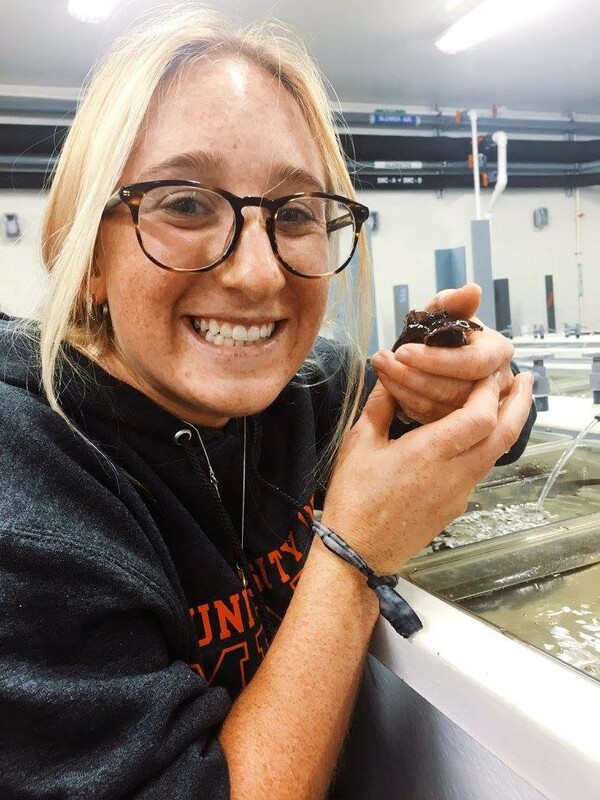 I am also a research assistant at The Coral Reef Futures Lab at RSMAS where we research coral-algal symbiosis and its implications under climate change. I encourage you all to make RSMAS your home as much as the main campus; it is a unique research facility with many undergraduate opportunities. I am excited for you all to begin your freshman year; you’ll remember it for the rest of your life. Hi! My name is Jimmy Ge and I come from Montgomery, New Jersey. I will be a senior at UM next fall, and my majors are meteorology and applied math. I am super passionate about hurricanes and everything related to them (fun fact, my middle name (Yun 云 ) means cloud). This summer, I will be staying at RSMAS to continue my research on hurricanes with Dr. David Nolan. Our work involves looking at his simulated hurricane in the WRF numerical model. Hi! My name is Madison and I am from Charleston, South Carolina! I am majoring in Marine Science and Biology and I am also a Pre-Vet student! I love the ocean and animals, so I hope to one day be able to apply veterinary skills to marine life. 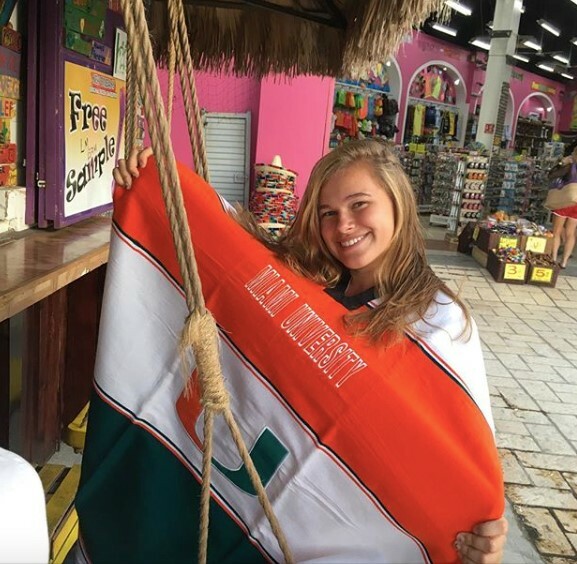 I chose the University of Miami because the campus is beautiful, we get to live near the ocean, and the RSMAS program is amazing. I love taking advantage of the scuba diving opportunities and spending time at the beach thanks to Miami’s great weather all year round. 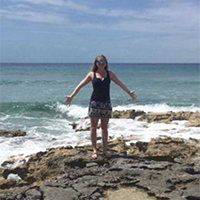 I also love to travel, and I hope to study abroad during my time as an undergraduate student! This summer, I hope to volunteer or work at a local veterinary hospital at home to start gaining some experience in the animal health field. 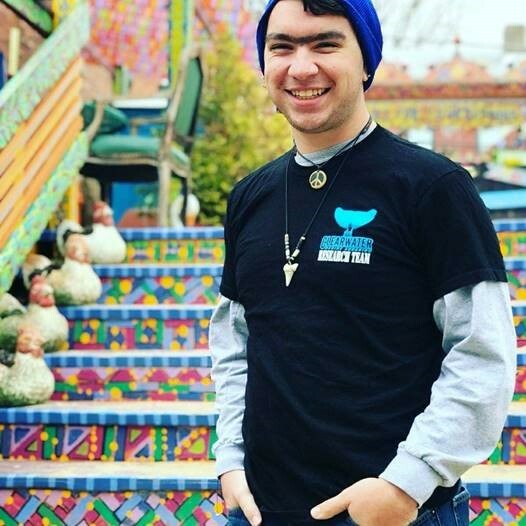 In the fall, I hope to return to being a part of some of the great clubs and organizations I have joined on campus, such as the Marine Mammal Rescue Team, the Rho Rho Rho Marine Science Honor Society, and the Pre-Vet Society. Hello everyone! My name is Kate and I’m a rising senior born and raised in the DC area. I’m a double major in marine science and biology with a minor in chemistry. On campus, I’m involved in scuba club, Rho Rho Rho, fishing club, and ADPi. I also work in a lab at RSMAS researching coral’s response to climate change conditions. 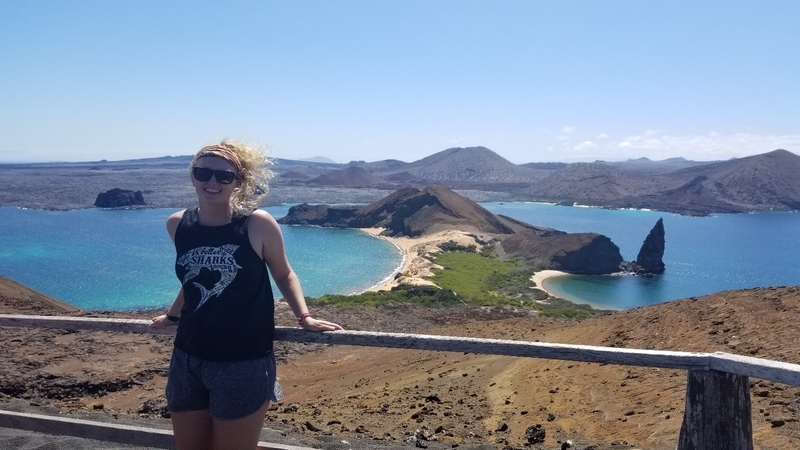 I spent this past semester studying abroad in the Galapagos. I love diving and hiking – anything outdoors.